Seems like there are fitness tracking wearables for everything these days, so it's totally on-trend that there should be a "Fitbit for baby kicks." How many kicks should moms-to-be feel every day? The answer is still a mystery as we rely on individual perceptions. However, these micro-movements can be informative if tracked in the correct manner. Bumpe proposes a safe, at home and reliable answer that can be also used after the child is born. The remote system consists of a wearable device, base station and dedicated app. 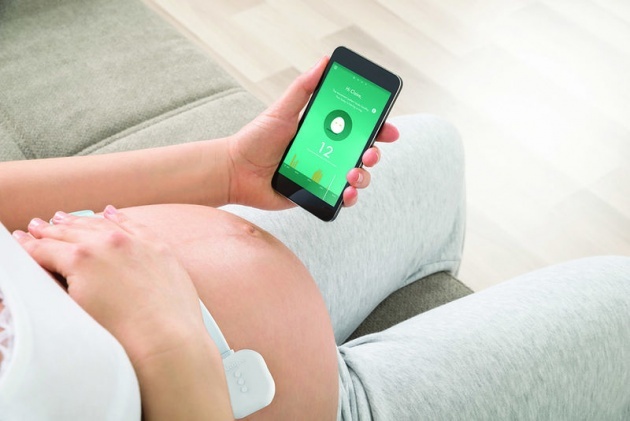 Its developed passive sensing technology allows for continuous monitoring outside of a hospital and can be safely used from the third trimester. Better yet, Bumpe is there for you and your new baby after giving birth. The sensors gather data over the course of your baby’s development by tracking the infant’s breathing patterns and sleep cycles. Using the Bumpe app, parents can even interface directly with physicians in real time, remotely from the comfort of home.